Имате въпрос към Golden Bell Homestay? Golden Bell Homestay, който се намира в Cam Ha, Хой Aн, е популярно място за туристи. Оттук гостите имат лесен достъп до всичко, което този оживен град може да предложи. С удобното си местоположение хотелът предлага лесен достъп до всички градски забележителности, които задължително трябва да се видят. Golden Bell Homestay предлага безупречно обслужване и необходимите удобства, за да удовлетвори гостите си. Подбор на съоръжения от най-висока класа като 24-часов рум-сервиз, 24-часова рецепция, съхраняване на багаж, Wi-Fi връзка в общите части, паркинг, са на разположение за Вас в хотела. 10 стаи са разположени на 3 етажа като във всяка една от тях цари неповторимото усещане за домашен уют. Модерен комфорт с удобства като телевизор с плосък екран, безжичен интернет достъп (безплатен), климатик, бюро, минибар са на разположение в определени стаи. През деня можете да се насладите на отпускащата атмосфера благодарение на градина. Насладете се на несравнимото качество на услугите и престижното местоположение на Golden Bell Homestay. Neat room, nice service and free bike to ride around the town. This is just the truth about Golden bell hotel. The location is between An Bang beach and old town. The room we stayed was big, and the bed was comfortable. Though, it had some stinky smell from the washroom during our stay. The overall stay was good, it's worth every penny. Btw, we used the taxi that the reception called for us. It cost us 15usd from Hoi An to Da Nang. You can find a cheaper one from old town, and maybe it's a better idea since the taxi driver we got texted and talked on the phone the whole trip. This was one of the most satisfying hotel stays I've ever had. And that's saying a lot because it's also one of the cheapest hotel stays I've ever had. The entire place is super clean, the rooms are roomy and well-decorated, AC works great, wifi signal is strong, the staff is super friendly and helpful, the location is easily walkable from the main town area, and the breakfasts are delicious and filling. We had an early check-out on our last day and the staff got up early to make us brown bag breakfasts to take with us. I can't recommend this place enough. Room is spacious, clean and well furnished. Great breakfast with so delicious pho. Good location between beach and town, close enough to go with bicycle which can use for free. Kind staffs always willing to help you. Value for money. Helpfull staff. I cannot believe how they can make this place run around. All they provide for only 20 USD for two persons. Indeed value for money and such a cute helpful staff. The location is not the best but they offer free bicycles compensating for that. We would stay here again. The staff very friendly, the hotel provide free bicycle so you can do cycling in that area. Very near beach, paddy field and ancient town. 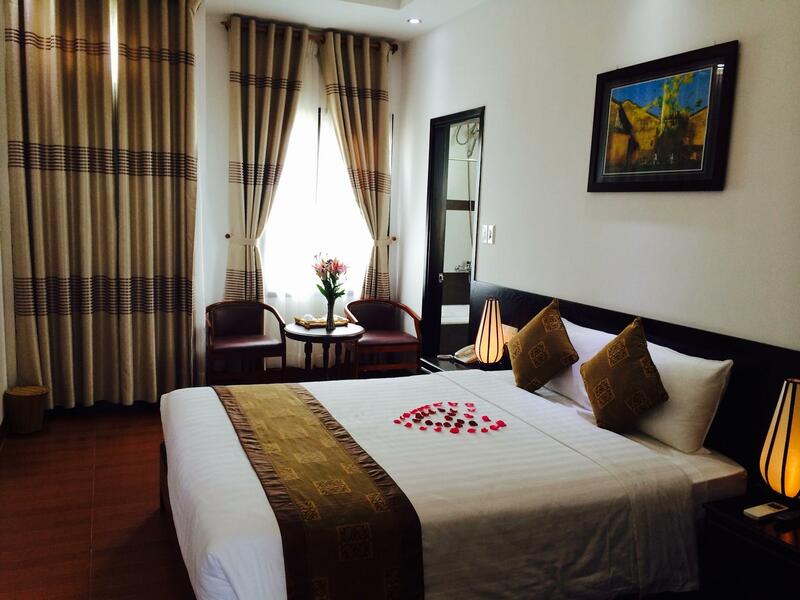 Very convenience and the room is very comfortable and quiet. I will stay here again if I come to Hoi An again. I will suggest couples or a group of friends to stay in this hotel, not so suit for family because the traffic a bit dangerous when you cycling to town. Great hostress with fast reply and ready and happy to provide information on the area / arrange for tours and transport. 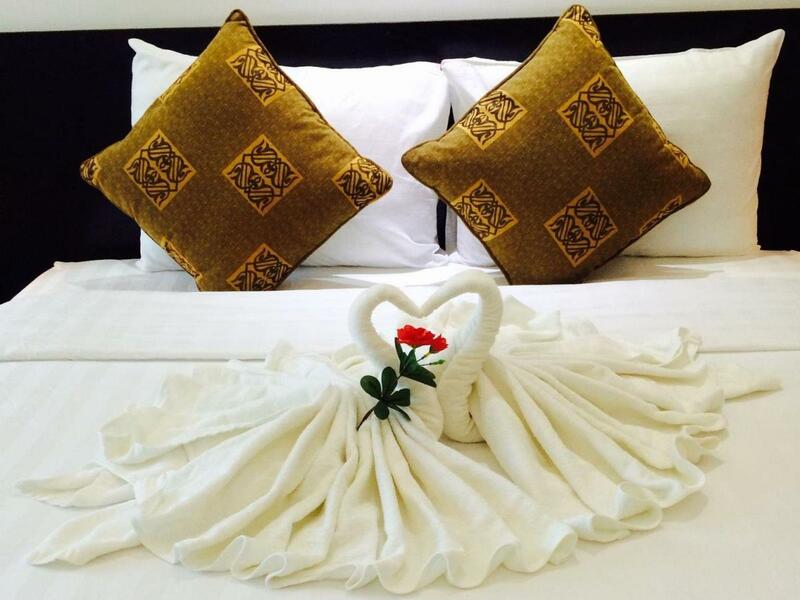 Location wise it's situated in quiet neighbourhood midway between an bang beach and old town. 20-25 minutes walking distance to old town. The rooms are clean and bed is comfortable. However aircon can be tad noisy throughout the night and you may be awaken by chickens (neighbour keeps them) or staff preparing for breakfast. With the town bring small n many motorcycles, being off the main road means there is less traffic noise. Comfortable stay overall. Outstanding place to stay in Hoi An. 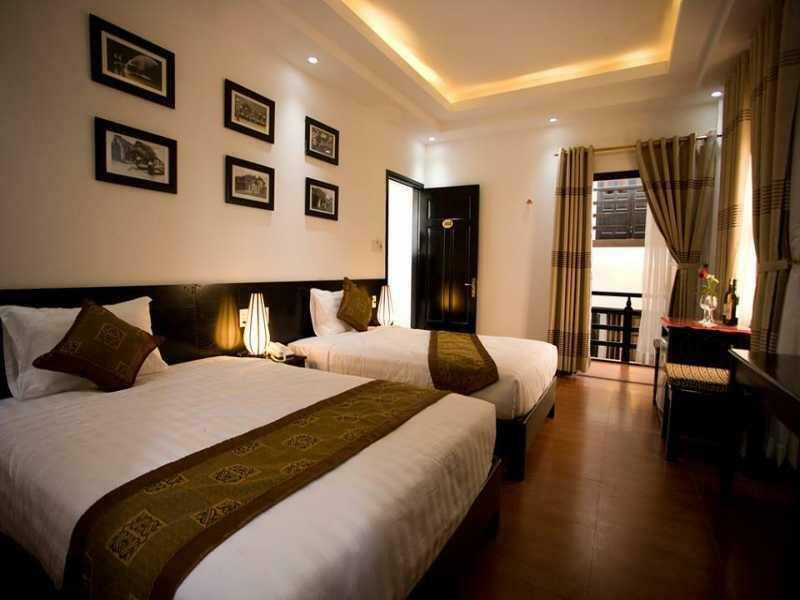 Rooms were the best I had experienced in Vietnam through my North to South holiday. Rooms were far above standard. Excellent breakfast buffet and cooked eggs to your choice. It is a family run homestay and they all made me feel welcome from the first moment. I had to leave at 4:45am to catch a flight to HCMC, they organised a private car for me and it was there waiting on time ... not like my experience in Hanoi. To my surprise that he also kindly made me a take-away breakfast - club sandwich plus two nicely boiled eggs, salt & pepper, yogurt, fresh fruit plus a spoon, folk and napkin - now that really is outstanding service. They also have free bikes you can take for the day to ride around. The organic vegetable garden and An Bang beach are only a short ride away. It is 20 minutes walk from town which you do get used to and I found it quite pleasant at the start and end of the day. Believe the reviews for this homestay. Outstanding. Everything was wonderful. They really treat you like family during the stay. Great value for product. Only drawback was a little far from the action but that has its own pluses and minuses. Everything was perfectly walkable and the town was not so exciting. Great small restaurants around with good prices. You have to be able to handle stairs and your luggage. Our stay at Golden Bell was very pleasant. The room was just as on the picture, very clean, every day new towels. The breakfast was daily fresh and good: fruit, bread, eggs, bananbread, pancakes. Its located just between the beach and the old quarter and by bike both sites are easy to visit by bike. They Also offer motorbike for 140k. Airport shuttle is in the city 40k per person cheaper, so we decided to do that. Would recommend it! Our stay at Golden Bell Homestay was great. The room was generous and clean and the buffet style breakfast was really nice. Our AC was a bit noisy. They rent bikes for free (test them before! Some have wobbly pedals and flat tires but they have a pump at the homestay) and you'll be in the city center within 10 minutes. Nice and quiet area.